Pierate - Pie Reviews: Do Booths Luxury Mince Pies butter me up? 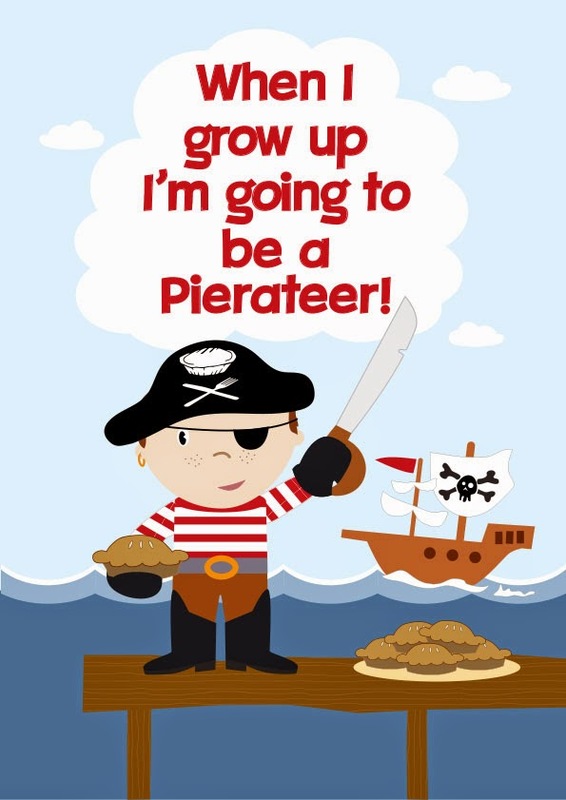 In order to answer this question, and quite frankly a great excuse to do Piethagoras' Theorem on International Pierate Day 2014, Pierateer RAS decided to try "Mince Pie with every meal", by eating a Booths Traditional Mince Pie with each meal that day. 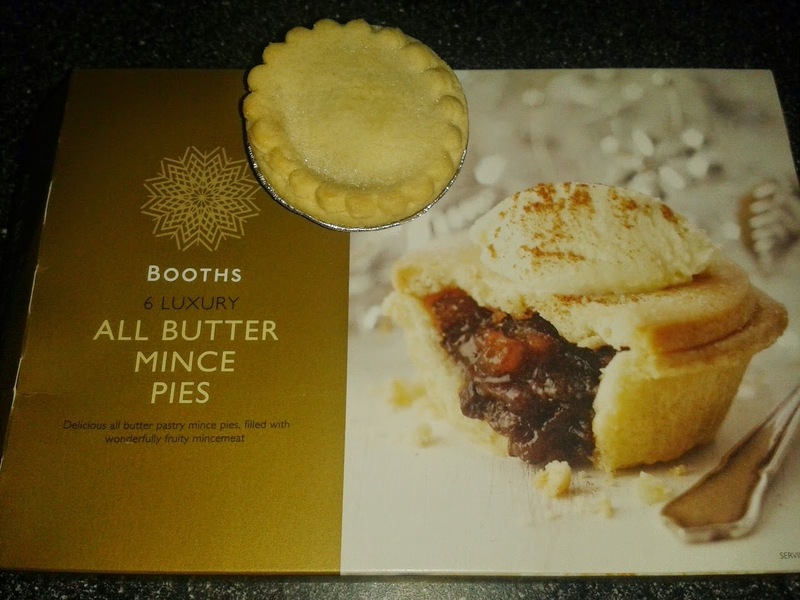 However at the same time, Pierateer RAS had picked up some Booths Luxury All Butter Mince Pies to see if these would rate even better than their traditional counterparts. As a luxury product they did come at a bit of a premium, costing £2.49 for 6 pies. This worked out at 41.5p per pie, making them considerably more than the 30p a pie for the traditional versions, and quite a bit more than most other mince pies rated as part of the "12 Pies of Christmas" music video last year. But would this increase in price reflect a far superior product? Having a few friends over for a Christmas lunch recently provided the perfect excuse for Pierateer RAS to try out these luxury pies, alongside James, Will and Christopher, to see which Booths mince pies would rate the best! The first thing to note was that they had been cleverly wrapped in plastic inside the cardboard box, to give extra freshness. This was also the case for the traditional mince pies that Booths make, but is not always the case. With pies available for quite a few months prior to Christmas this seems a very wise investment if you won't eat them straight away. But how would they rate? Firstly, the shapes of the mince pies did vary slightly - no standard production line here - which gave the pies a more homely feel. They were taller but slightly smaller in diameter than the traditional Booths pies and this helped improve their pastry to filling ratio. There was a pretty strong capacity, with just a small air gap, and lots of fruity pieces bursting out. It certainly wasn't filled with mince gloop, as a number of mince pies we've rated have been! The shape made the pie more structurally integral too, but I did find these pies were once again rather pale and not very crisp. You could certainly taste the buttery flavours coming through the pastry, almost a bit too strongly at times, which made it a bit more of a niche taste. I'd certainly prefer a bit more bite to my mince pie, though the content again was very good and fruity for a mince pie. These pies were very strongly laced with sugar on top of the pies, which again I felt wasn't really needed (a good pie should not need to be covered in sugar to taste good) but it would certainly please some with a sweet tooth! I think I did prefer the eating experience of the All Butter mince pies slightly more, but might get put off by the price from buying them over the traditional mince pies. 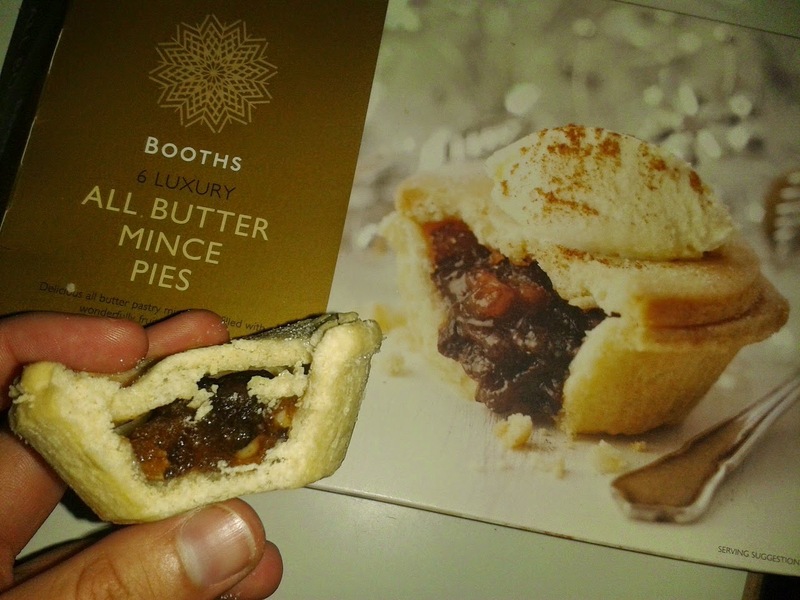 Overall, I found it hard to split the two Booths mince pies really, as they excelled and lacked in different areas. I'd suggest you go for whichever floats your boat (or Pierate Ship) based on our comments, or like me just buy both! Either way, enjoy your mince pies this festive season!